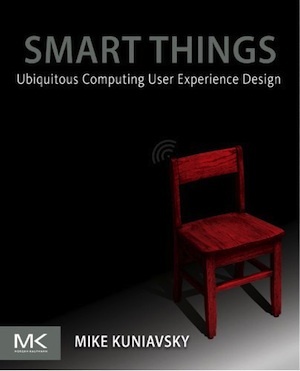 I'm excited to see that Mike Kuniavsky's Smart Things is (finally) available. It's a great book that should provoke some interesting conversations about the near future of design, information architecture, and user experience. Smart Things is a rare artifact from the future that packs immediate practical value. I predict its coverage of multi-scale design will change user experience practice forever. It is the most useful book about the future of design I've read and has changed the way I work. Mike Kuniavsky doesn't just write about the future, he lives there... and now so can you. Buy it. Read it. And then, in the near future, let's talk! Dave Gray is uncovering some great #designfiction resources including Representations of the Future with Graphs and A Survey of Human-Computer Interaction Design in Science Fiction Movies.